Thank you so much to everyone who came out for the Clark County Open Studios Tour last weekend! Ann had a fantastic time with old and new friends, and it was a successful event! 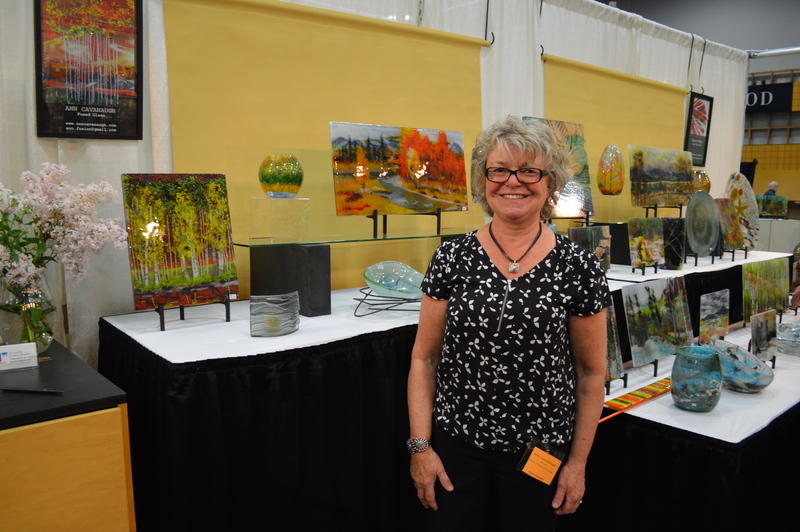 She hopes everyone had a great time visiting all the talented artists and seeing their workspaces. Nature inspired glass roll ups. Nature inspired glass roll ups…see them at the Audubon Wild Arts Festival Saturday and Sunday the 22nd & 23rd at Montgomery Park in Portland They will be in Booth #41! 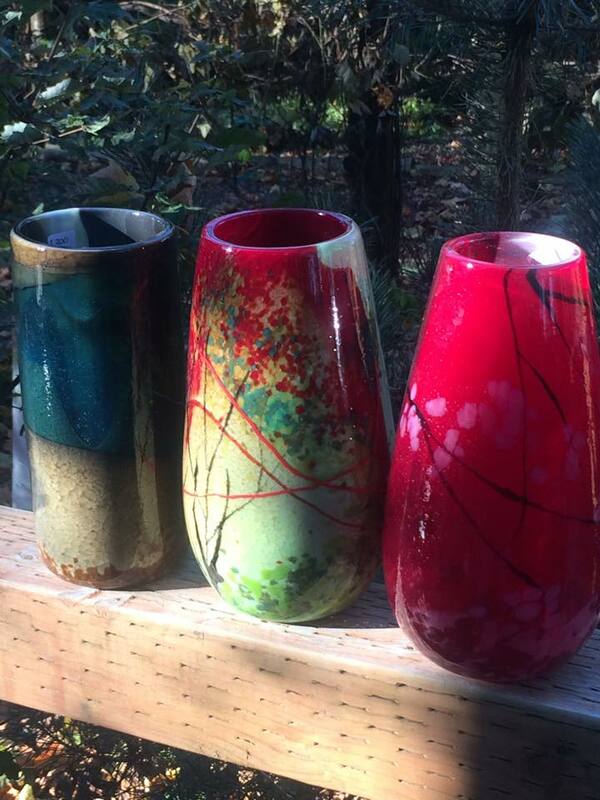 If you are in the mood for more glass, Ann has some roll-up work that will be part of the event next weekend. See them at the Audubon Wild Arts Festival Saturday and Sunday the 22nd & 23rd at Montgomery Park in Portland Come on out to booth #41 and enjoy this event full of wonderful nature-inspired art! Tickets: $6 for Adults, Kids 16 and Under Free! This event is for the birds! And the artists! 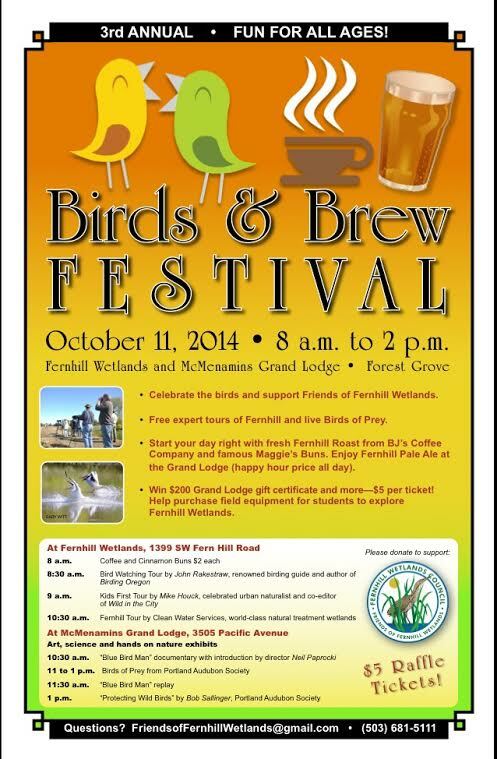 Ann will be participating in the 3rd annual Birds and Brew Festival this weekend, Oct. 11th, 2014. You can find her amazing art in the Children’s Cottage at McMenamins Grand Lodge, along with films and activities. This is a special events that supports our feathered friends and the The Fernhill Wetlands Council and the Friends of Fernhill Wetlands. Come on out and say hi! 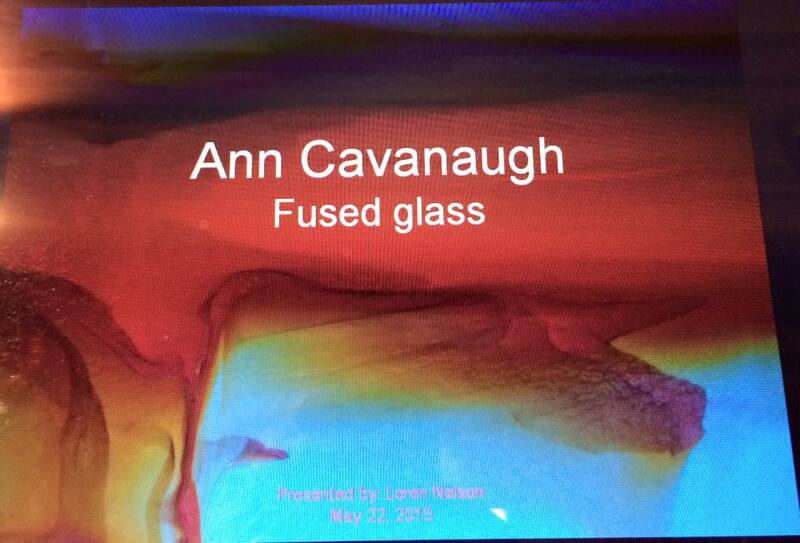 And stay tuned for more events where you can find Ann and her work this Fall! Summer moved so fast this year. 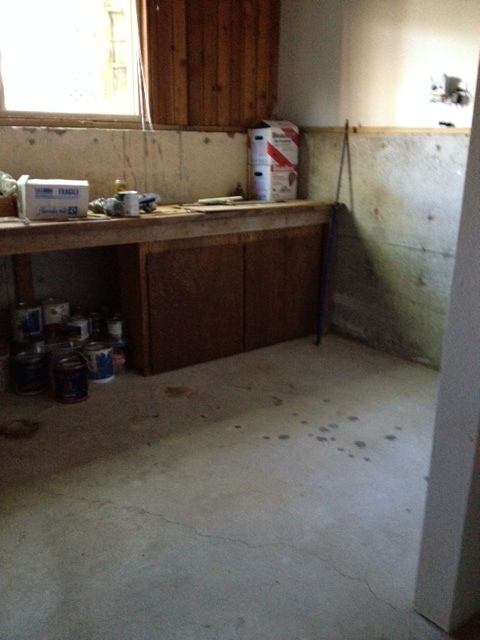 It has been a packed summer with classes and friends, but also the fun of building out the studio at the coast. Watching the seasonal changes near the ocean will be a new experience for Ann. But even with all the summer work, and fun, the landscape classes at the Battleground Studio and beyond are still in full swing, and filling up! 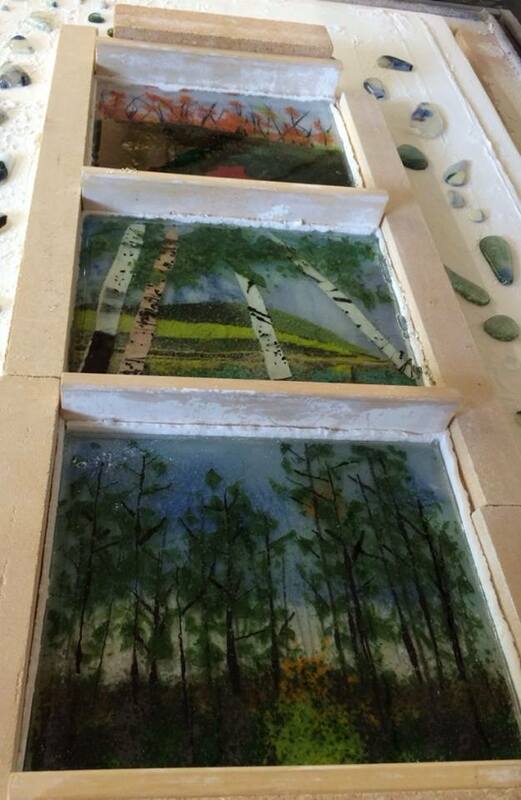 Ann’s next fused glass class at the Battleground Studio , Sept. 20 and 21, is sold out! With fall on the way, the leaves are poised to change, and all of this seasonal transition is a perfect inspiration for the landscape class! Even though the September class is sold out, more will be held in the future, of course! Two-day classes are from 9:00-5:00 on the first day. On that day, students will receive demonstration and hands-on instruction in fused glass technique, and they will lay out their pieces to be fired. Students will come back a second day to come back and cold work/finish their pieces after they have been fired. If a second date is not specified, students will schedule their cold working day with Ann. Previous glass working experience is required. Pricing and more information can be found here. Also, don’t miss the class coming up on October 17th and 19th! Held at the Circle of Friends Gallery in Tumalo, Oregon, class starts at 9:00 am on the 17th, and the cold-working section starts at 11:00 am on the 19th. You can reach the gallery at 541-480-6361 for more information.